New research shows timber core-wall systems can be used in mid- to high-rise timber buildings to form lift shafts or staircases, making it easier, more flexible and cheaper to build more eco-friendly buildings. 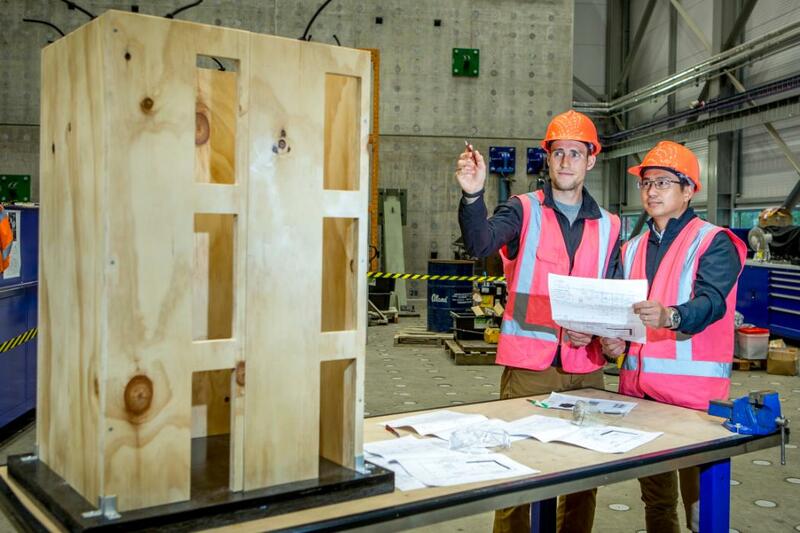 Justin Brown (left) came to study with Dr Minghao Li (right) after he became aware that much of the latest research on seismic design and timber structures was being generated from UC’s College of Engineering | Te Rāngai Pūkaha. “The emergence of engineered wood products has started a renaissance for using timber as a key construction material in mid- to-high-rise buildings,” Brown says. 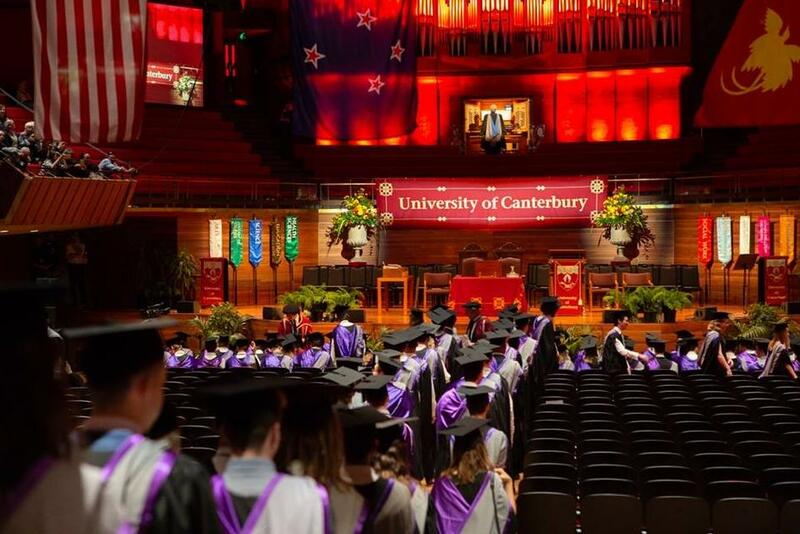 “Aotearoa New Zealand’s earthquake hazard, combined with climate change, is fuelling interest in innovative, sustainable and resilient building solutions,” Brown says. The doctoral candidate says fine-tuning guidelines for practising engineers is an important step towards building momentum on all-timber construction, which will impact the building industry. 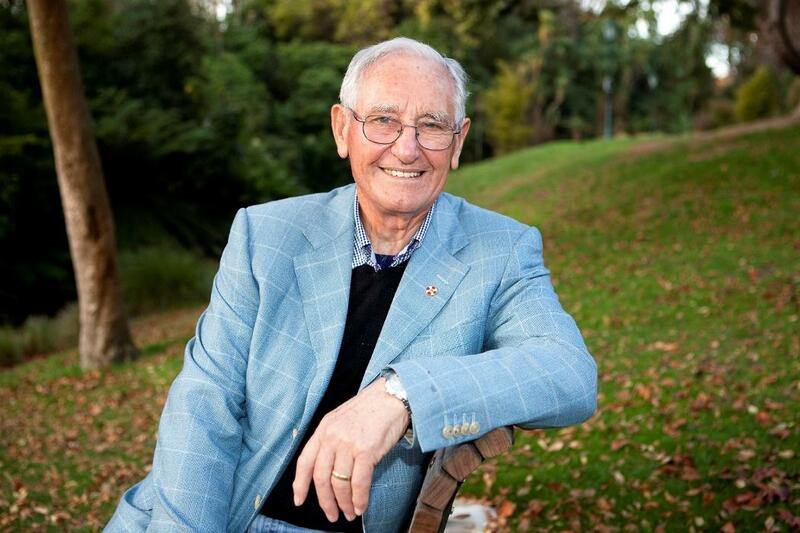 The research is being funded by the New Zealand Commonwealth Scholarship Fellowship Plan, and the experimental testing is funded by Specialty Wood Products Partnership, New Zealand Douglas-fir Association and Australian Research Council.